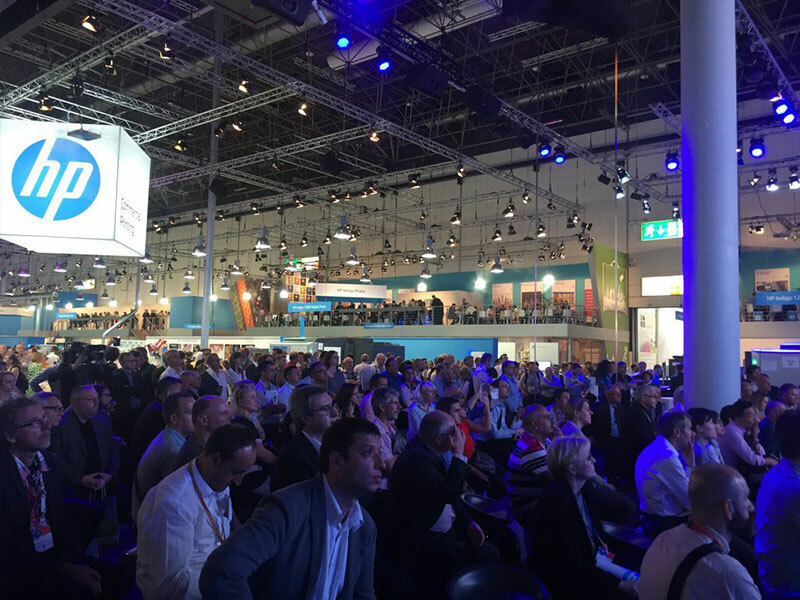 For this year’s conference, our main goal was to express HP’s market leadership. 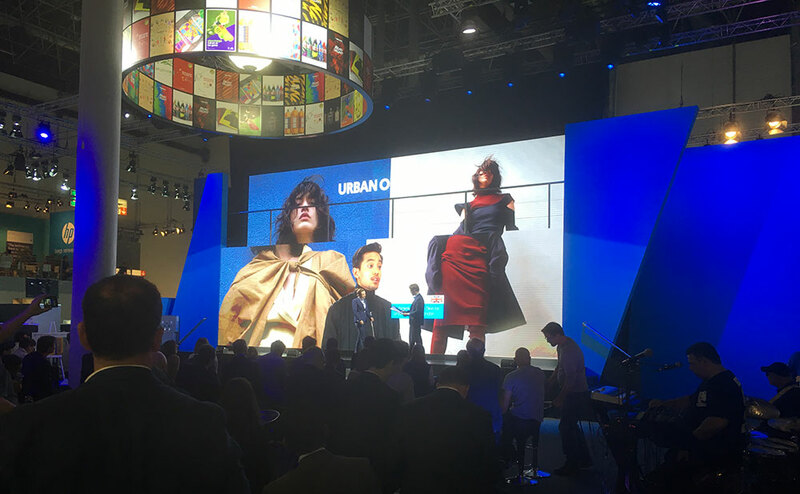 As HP was already recognized for the business shows we produced, we were challenged to create a different experience that would be surprising for clients. We turned HP’s business theater into a fast-paced, dynamic and interactive environment. 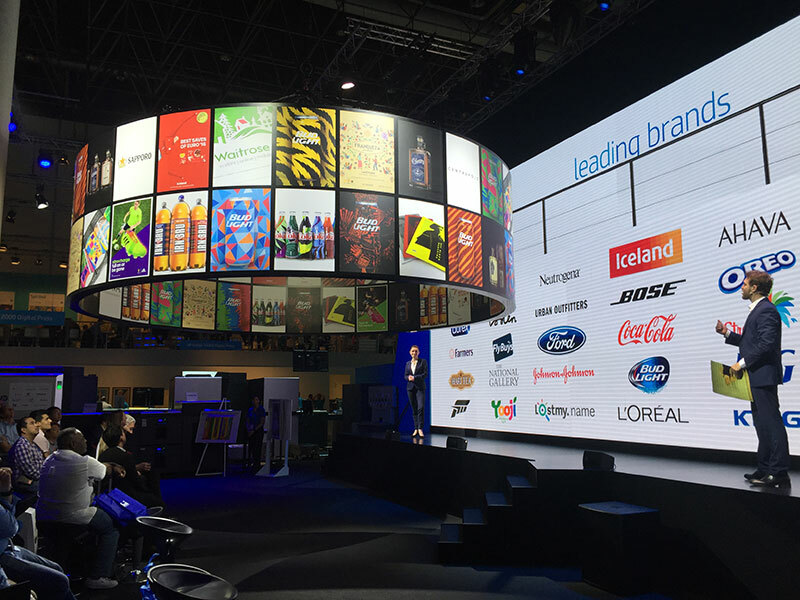 The show area was huge – with an exceptionally tall 50 sq meter video wall which brought the powerful graphics to life. We built a platform in the center of the screen – so that the actors could physically “go to the next level”, just as HP takes clients to the next level. In real time, the actors took an audience vote on which of two pictures of famous characters would be printed during the show. Adding interaction helped the audience feel connected to the product as they witnessed its capabilities. During the performance, more surprises came when a spectacular chandelier sculpture descended into the room, highlighting the breadth of HP printing capabilities. The show won the bronze medal from the New York Film Festival. It attracted more than 200 participants at every single show over the 10 days of the event. Following this exhibition, the Director of Strategic Marketing, Simon Lewis, told us in writing that our work always provided value for money. Together with Telemedia, he added, HP was able to accomplish what they could not accomplish alone. What are your exhibition goals?